While there are many digital cameras available, often an anterior segment camera can provide a digital photograph of the eye with the proper color, contrast, sensitivity, and resolution easily by an eye doctor. By getting a clear image of the front of the eye, this information can help diagnose irregularities with the cornea, misalignments, and various eye conditions or damage that may affect your eyes on an external level. It’s no surprise that no pair of eyes are the same, but aside from color, shape, and health, every eye has a unique surface that determines how clearly you view the world. If you’ve ever wondered why you had a strong prescription, your genetic makeup is a big player, and how your eye is shaped and formed can mean the difference between a new pair of glasses, toric contact lenses, or a pair of scleral lenses for irregular corneas. Our Marco 3D Wavefront captures a complete contour map of your eye’s surface to help our optometrist select the optimal solution for your vision. 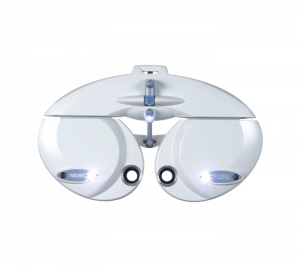 Similar to the Marco Wavefront, the Scout Topographer is a smaller version that captures your eye’s cornea shape & unique surface structure. 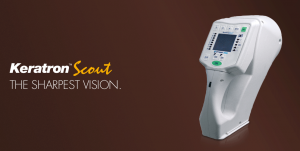 The Scout provides Dr. Schwartz another avenue to review your particular visual needs in choosing the exact eyewear solution or specialty contact lens. 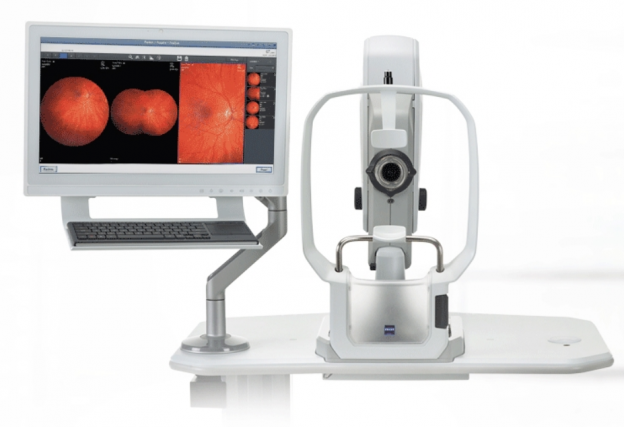 The new leading technology in digital retinal imaging is the Clarus 500 fundus camera by Zeiss. 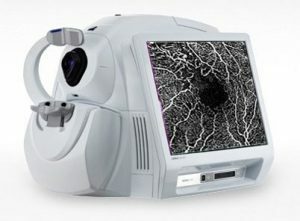 This fundus camera is a new ultra-widefield retinal camera to allow precise color imagery of the eye during a comprehensive eye exam. The color adds additional detail to a clear map of your eye health. 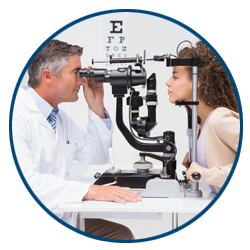 Our optometrist, Dr. Moshe Schwartz, includes the imaging to diagnose and document any early signs of ocular disease. 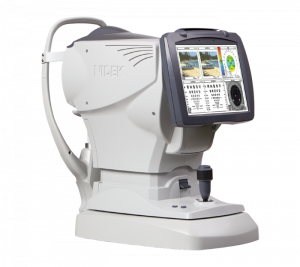 The CLARUS 500 can produce an image of the macula and periphery of the eye, which is essential in managing macular degeneration. Instead of relying on eye dilations to get a picture of your eye, our new fundus camera creates an amazing blueprint of your eye instantly, so you get the full view of your eye health comfortably and without the drops. 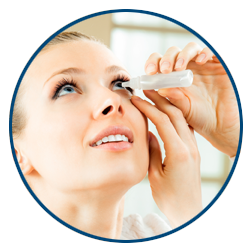 Measuring your Volk Eye Check can be used as a routine complementary diagnostic and data gathering tool, where measurements can be gathered and recorded to track your ocular health over time. Great for children or a simple analysis for time-sensitive patients, the Volk Eye Check’s consistent outputs provide objective accurate measurements, aids in the detection of other abnormalities, and even provides an electronic & printable record of your eye’s measurements. 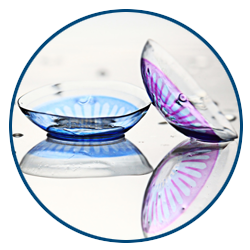 The main feature is that these measurements are also useful for contact lens fittings for those who seek specialty contact lenses. Our office makes use of the efficiency of the Volk Eye Check to track the status of your eye shape so that we’ll provide you the best in contact lens care. To obtain images of the deepest part of the eye’s structure, an OCT or optical coherence tomography accurately captures a magnified image of the layers of the retina. 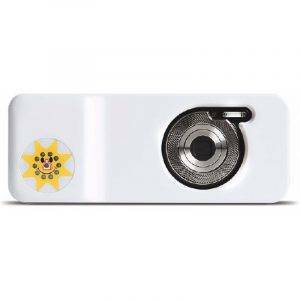 These images help our eye doctor detect ocular diseases like macular degeneration or glaucoma. These scans are so precise and at such a sophisticated level that an optometrist can identify each specific sign of deterioration and immediately formulate the exact treatment needed to prevent vision loss. We can measure your visual pathway through light-evoked signals, which tells how your central vision is functioning. 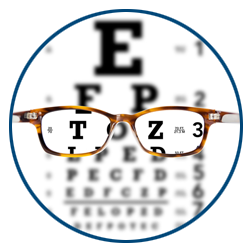 The waveforms of your visual pathway can help Dr. Schwartz diagnose refractive error, vision disorders like amblyopia, and even the health of the optic nerve. Calculation your next glasses prescription ought to be blazing fast & as accurate as possible. While eye doctors have relied on good judgment, Eyesymmetry Vision Center boasts the Marco TRS-5100 & RT900 to provide you the best in digital refraction technology. The small, lightweight unit shouldn’t fool - this piece of hardware will provide your eye doctor with immediate results about your prescription with the utmost accuracy. There’s no better technology in eye care that can determine your exact visual needs than the Marco.